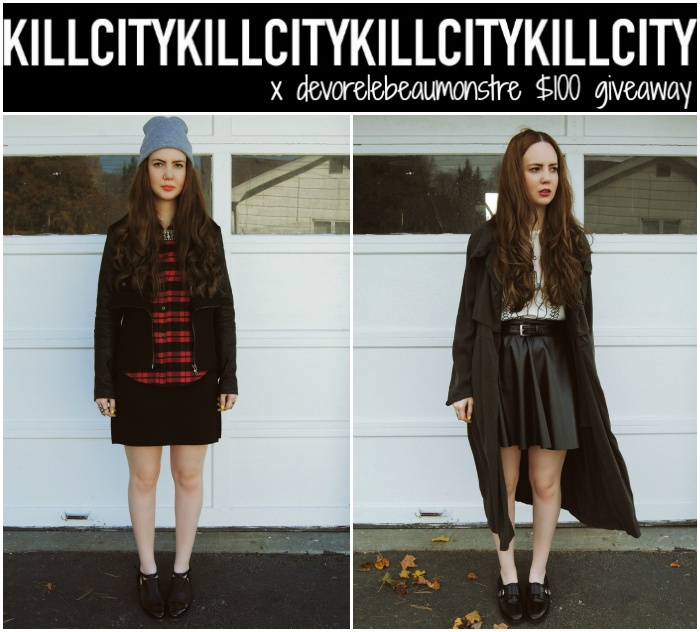 devorelebeaumonstre.com | Pittsburgh, PA | Fashion & Personal Style Blog by Stacey Belko: $100 kill city giveaway. Aww yeah. $100 to spend at Kill City.. need I say more? Like Kill City on Facebook & follow them on Instagram (if you don't have Instagram let us know in the comments). Giveaway will be open until Monday, November 5th & a winner will be chosen using random.org. Awesome! Did the steps above except for Instagram (don't have one!). Totally loving their stuff! Unfortunately I don't have Instagram ! ----------------------------------------------- I don't have Instagram. Zuzia Bieńkuńska, i don't use Instagram. tj.girl@hotmail.co.uk and Instagram name is tjgirl91. Thanks! I do not have an account bloglovin. so I follow on GFC. may I? happy to follow this giveaway. Your blog really inspired me. I hope I was lucky to win it. 2. I don't have Instagram. what an awesome giveaway....following on both!!! Liked on fb and followed on Bloglovin. And I don't have instagram. oh please let it be me!! don't have insta.did the others. I don't have an instagram, but I followed all the other steps!! I liked Kill City on FB. I do not have instagram, and I follow you on Bloglovin. Awesome giveaway! Love Kill City! Man, Kill City is the bomb!!! I don't have an Instagram. I still have a non-smartphone. Thank you for offering such a generous giveaway. I 'like' Kill City on Facebook, but I do not have Instagram. I also follow you via bloglovin'. Did the requirements & would LOVE to win!!! Followed via GFC and fanned Kill City Jeans on FB! Sorry, I do not have Instagram. Followed on FB, I don't have instagramm. Hi Stacey, thanks for this giveaway! I follow them on FB but don't have Instagram! I also don't use Bloglovin but I follow your blog on Google Friends + thing! but I don't have instagram account. how about if we follow each other? i'm already follow ur blog..
warmest greeting from Malang, Indonesia. Thank you so much for letting me know about the giveaway! I really do appreciate it, as I love finding things I can actually use; Plus, with the holiday season approaching, spending money is always a bonus! Lol! liked on fb, no instagram. I'm a current Bloglovin' follower. I'm following you via Bloglovin! I don't have Istagram. i dont have instagram unfortunately. Plus, i have never heard of kill city, but i love it!! 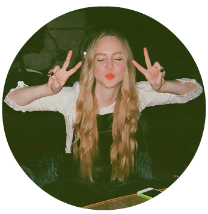 I follow via fb and bloglovin! I do not have an instagram.